Some animals and plants are so unique to our neighbourhood that they are known as endemic species, meaning they are found nowhere else in the world! 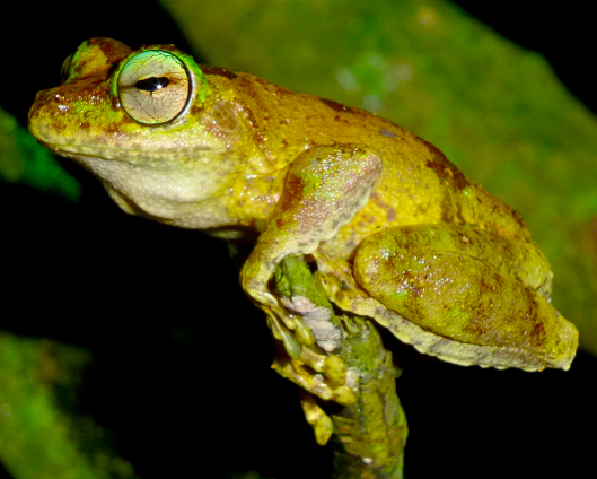 One such species is our local, endangered Kuranda Tree Frog (Litoria myola). At just 35mm (male) – 60mm (female) long, these tiny wonders call small pockets of Kuranda rainforest home, though not just any rainforest will do. 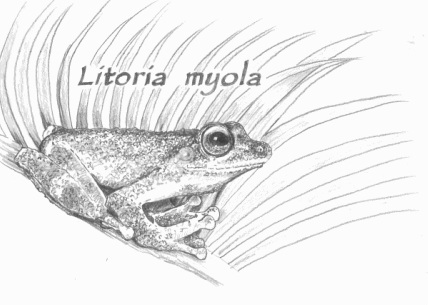 The right habitat for the Kuranda Tree Frog depends on many little things being just right. Just as we enjoy living in certain conditions, Kuranda Tree Frogs need particular conditions. Interestingly, these frogs need clean, gentle flowing riffles in rainforest edged streams to breed, with the males calling from favourite perches above the stream, enticing the females out of the surrounding rainforest, high up in the trees.